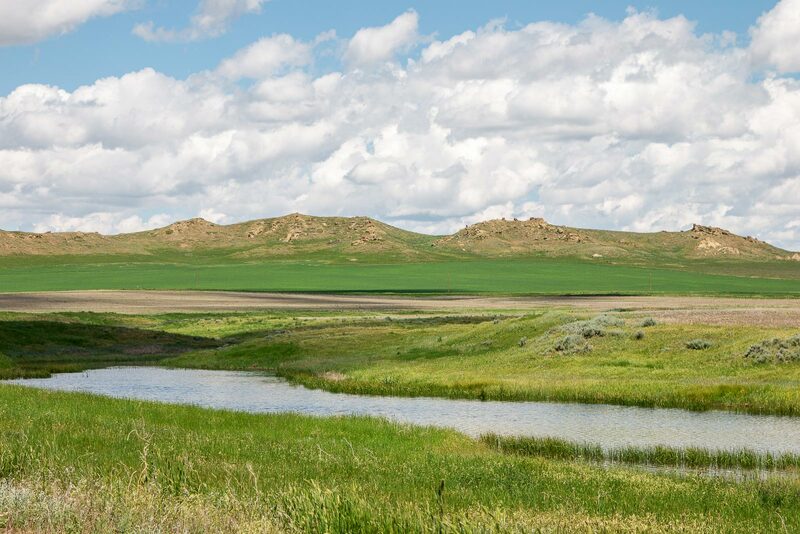 The property totals 3,767 acres and is located 9 miles northeast of Winifred in the Upper Missouri River Breaks area. Access from Winifred is by county gravel road. Lewistown is 49 miles to the south and is the business center for the area with a population of 6,000. 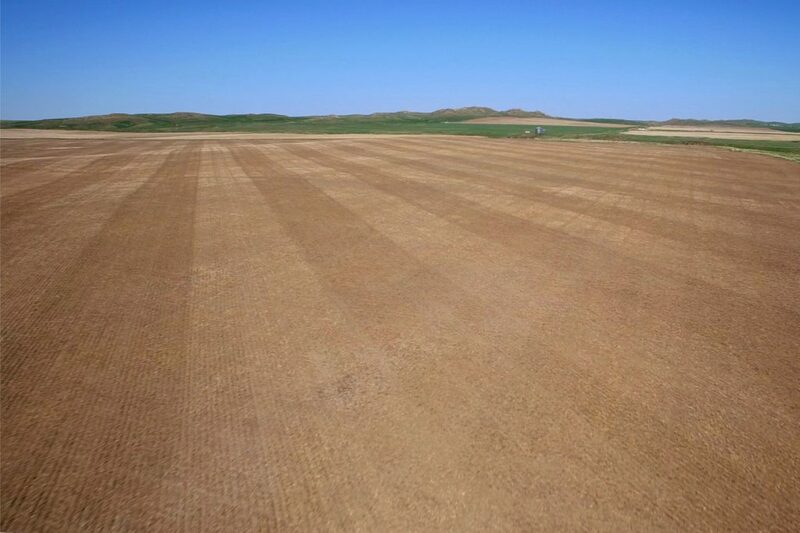 Winifred has a turf runway (4400 x 150 ft.) one mile south of town at an elevation of 3311’ which is open to the public. Lewistown Municipal Airport is at an elevation of 4,100 feet and has jet fuel services with a 6,100’ and a 4,100’ runway for private aircraft. The nearest commercial air service is 155 miles west in Great Falls and 185 miles southeast in Billings. Winifred has a population of around 200 and is in north-central Fergus County. Winifred was founded in 1913 and it was the end of a newly-built branch line of the Chicago, Milwaukee, St. Paul and Pacific Railroad and is believed to have been named after one of the railroad owner’s daughters. Winifred has a grocery store, café, k-12 school with about 8-10 students per grade, museum, library, fired dept, ambulance, and various fuel and ag service businesses. The DNRC indicates 1,000 +/- acres of grazing land. The leases are rated at 193 AUM’s and the 2018 cost was $3,897.29. The ranch improvements are in a very private setting. They are in a valley against the foothills south facing with panoramic views to the distant Judith and Moccasin Mountains. They are well cared for and are functional for farming and ranching purposes. 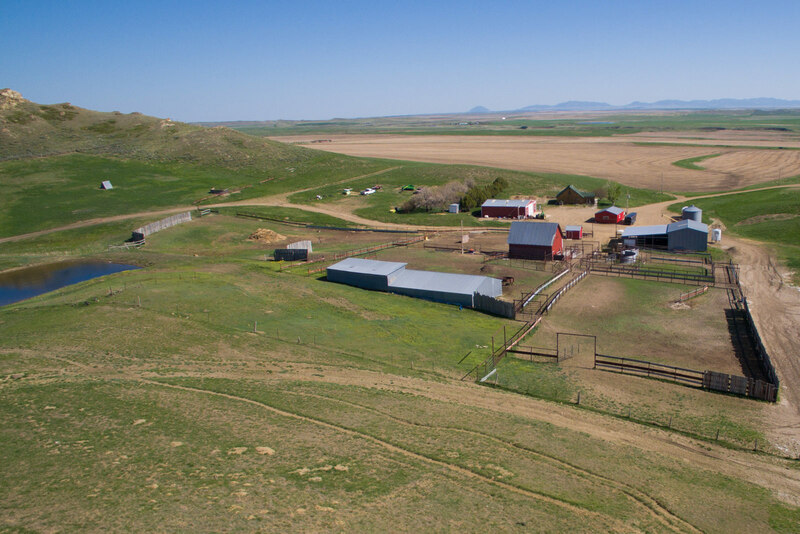 They include a modest home, insulated shop, garage, barn, minimal grain storage, fuel tanks, numerous sheds, and newer steel corrals for the livestock and horses. In the past the school bus turned around in the yard area. The property has been used as a cattle and small grain operation for decades by the Simac Family until just recently whereby they leased it to neighbors. 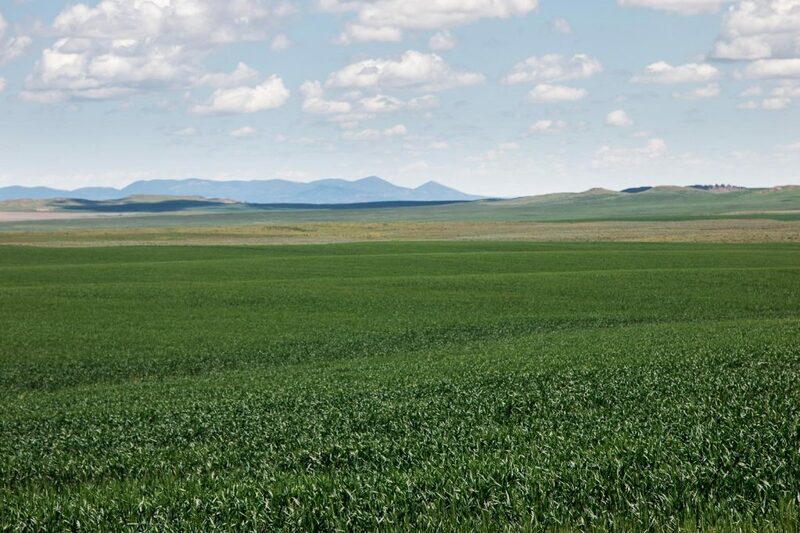 The lease on the grainlands of about 1,050 acres is for the 2019 year and the rest of the property and the buildings are available at closing if there is a sale before spring. 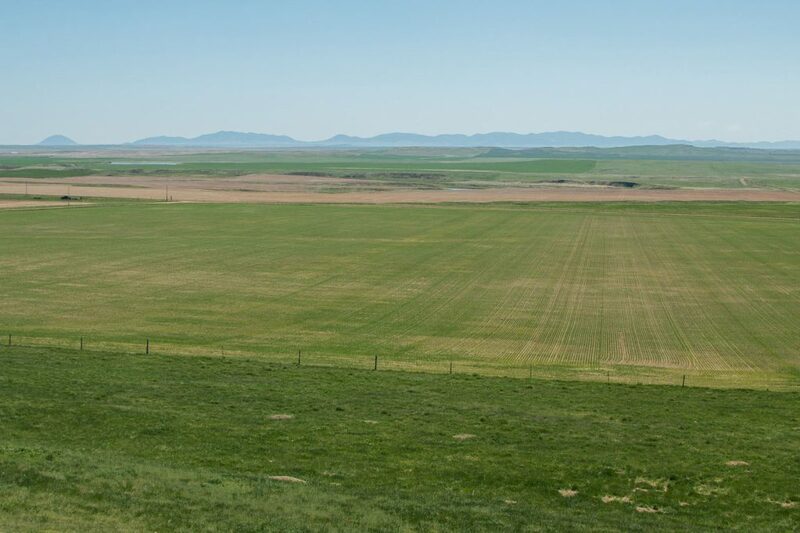 There are neighbors that will cash lease the farm if a Buyer was interested. Along with the farming operation the owners have indicated the 3,767 acres should support 125-150 animal units under normal weather patterns on a year-round basis. 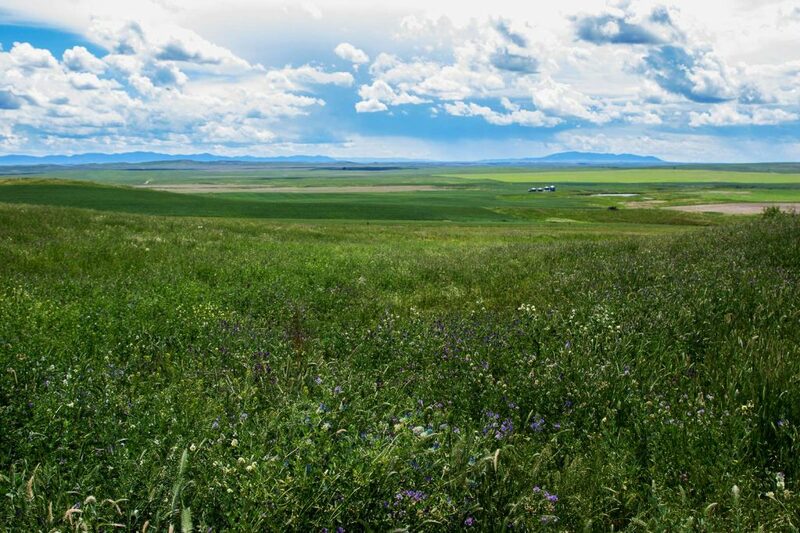 There are over 20 pastures for rotational grazing and the range is in good condition. Sources of water include about 15 reservoirs, two wells with waterlines and tanks, numerous seasonal creeks, and one mile of Cut Bank Creek. 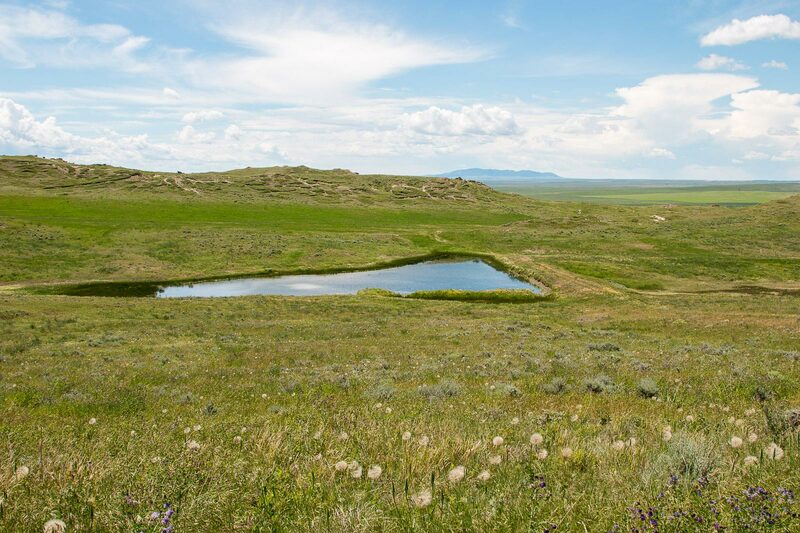 HUNTING: The diversity throughout the ranch is ideal for mule deer, antelope, and upland game birds. 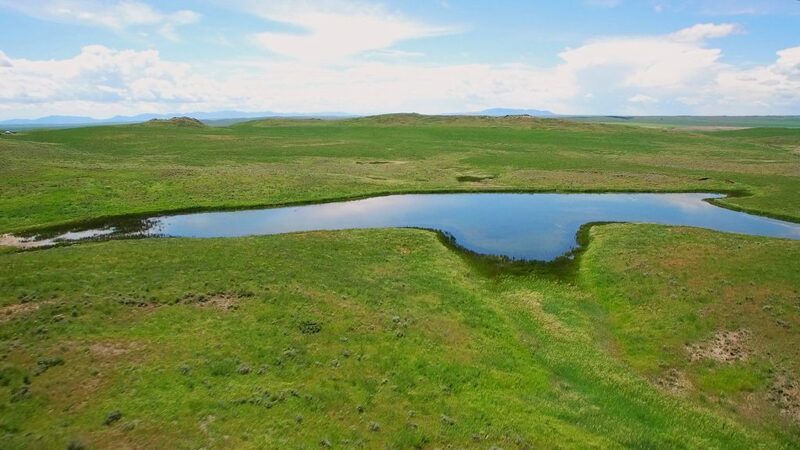 The Pheasant, Sharp-Tailed Grouse, and Hun numbers would be escalated with enhancing the habitat especially along the Cut Bank Creek drainage with small grains, cover, and crop varieties. The nearby area is widely known as a mecca for Big horn sheep, Elk, and Whitetail Deer. FISHING: The nearby Missouri River is a warm water fishery. Numerous species of fish have been found such as sauger, northern pike, sturgeon and walleye. The River also support one of six remaining paddlefish populations left in the nation and can reach well over 100 pounds. BOATING: Traveling the nearby Missouri River by motorboat or canoe is recreational joy as the river is mostly unchanged from the days of Lewis and Clark. 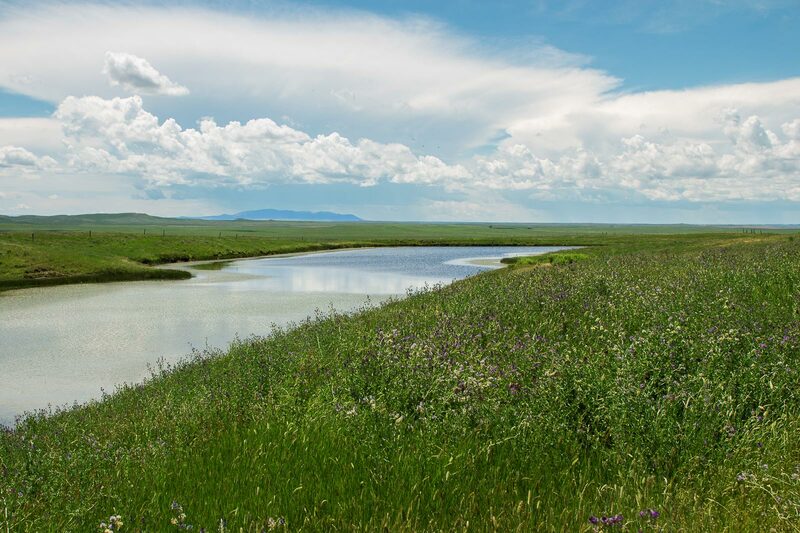 A river float available is from Fort Benton to Judith Landing which is a 88-mile stretch that has camping along the way. The Winifred area has a climate with lots of sunshine, low humidity, moderate winds, and a good growing season. The summer season has warm to hot days with lots of sunshine and then cools down at night. Normally, the winters are moderately cold but then there are mild temperatures. The average growing season is 130 frost-free days with an average annual precipitation of 14 inches. Most precipitation falls in the month of June and the least in February. This property is private and all in one block. You are basically at the end of the road and yet just nine miles to Winifred. 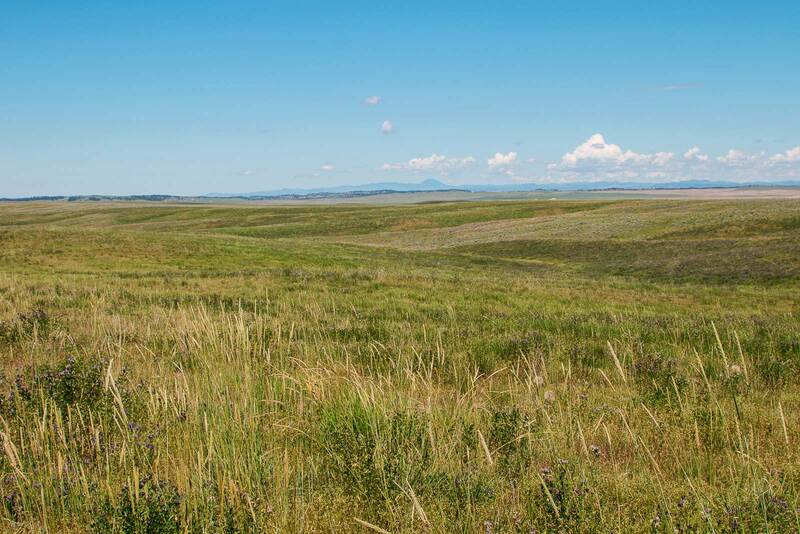 You have beautiful panoramic views of the area and the Judith and Moccasin Mountains to the south. 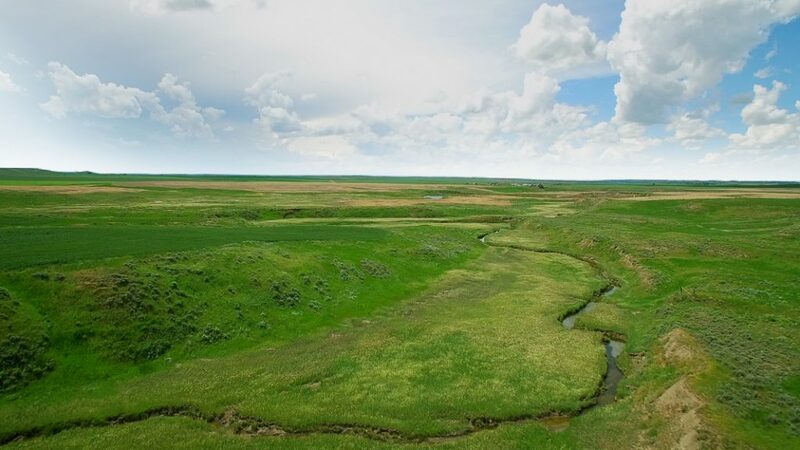 For the outdoors people we believe the area along Cut Bank Creek has lots of potential for increasing upland birds and other wildlife with food plots and shelterbelts. We have been involved with such projects and the results are fruitful. The property is simple to operate because it is one large block with the buildings in the middle. For the investor there are neighbors that would cash lease the property for long or short periods with or without the buildings. 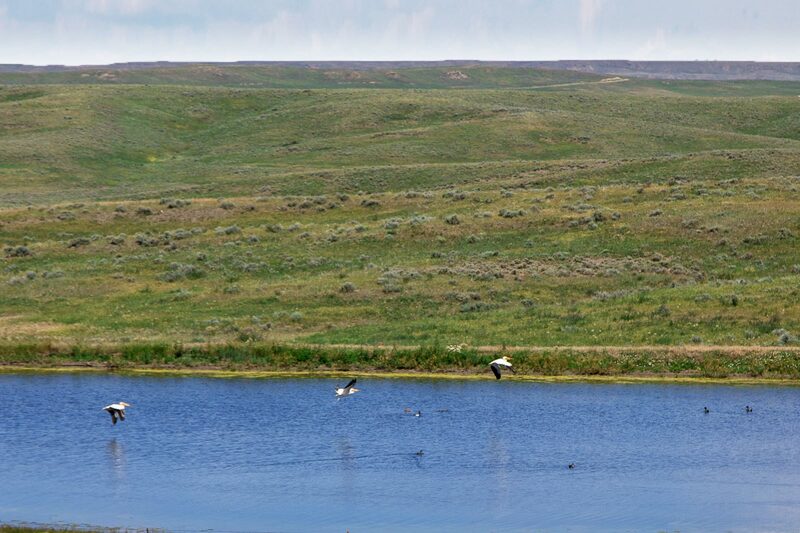 The Winifred area is becoming more and more known as a recreational hub of the Missouri River Breaks which provides hundreds of thousands of acres of federal lands for hunting, fishing, sight-seeing, and boating.